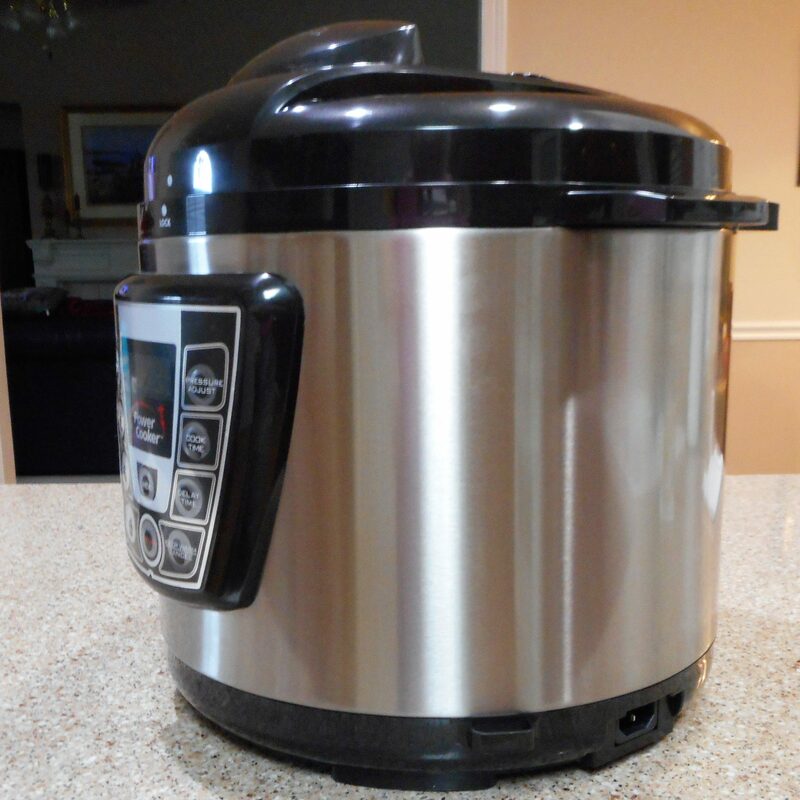 The jury is out on this electric pressure cooker. My original intent for purchasing this appliance was to speed up broth processing, and it certainly does that, even better than I had hoped. Granted, I still have to strain and chill the broth, then discard the solidified fat and freeze the broth in portions, but what used to take me at least 48 hours can be accomplished in a day. The broth is the richest ever! I roasted the juiciest four pound chicken in only thirty minutes! Granted, it wasn’t browned, but for my intended use that didn’t matter. On the flip side, browning, which the appliance claims it will do, is a disaster. The bottom of the pot scorches and is almost impossible to clean. In the future, I intend to brown what I need in another pan and then transfer to the pressure cooker. I’ll still come out ahead. Now my only quandary is where to store the darned thing! With an 8 quart capacity, it’s not small. UPDATE! I now own three of these pots! After I purchased the original 8 quart model, which was really too big for anything but making stocks, I bought a 4 quart mini pot. That one was great for sides, like rice, but too small for most recipes. On to the 6 quart model….Just right! I feel like Goldie Locks. Oh, and another thing. The two smaller pots have stainless steel inserts, which the 8 qt. by a different manufacturer does not. The stainless insert does a better job at browning and is much easier to clean. Also, the lids on the two smaller major brand pots can go in the dishwasher, which is nice.